Happy New Year! We hope everybody has recovered from the recent festivities and you’re busy planning your next visit to Scotland. January is a very busy period in the office as people start to think about their Scottish summer holidays, if you need to visit on a specific week, now’s definitely a good time to book. Holiday cottage accommodation is more popular now than it has ever been so availability can be a problem if you wait until the last minute. Of course, Scotland isn’t just about the summer months, spring and autumn are a great time to visit too. If you are looking for a romantic break around Valentine’s Day, we have some wonderfully secluded properties for two for you to choose from, although you’ll need to book quickly as they are filling up for the Valentines week, especially as it half term falls around the same period. Another popular time to visit is April. The weather is normally starting to show an improvement and the Easter holidays allow people to get away from it all. These dates are filling up fast too, so we’d encourage you to book as soon as possible, especially if you want to stay in a particular property. This wonderful old building is steeped in local history, having been built as a “Ladies School” way back in 1840. The school was built by the Free Church of Scotland for the benefit of local children on local estate land. The reference to “Ladies” came about because of the Ladies Associations that had a hand in running of the schools. Since shutting as a school in around 1895, the building had been used for over a hundred years as a place of worship, until it fell into disuse around 2006. Now back under the local Estate’s control, it has undergone a complete renovation to a very high standard and makes a very comfortable holiday cottage for two. Complete with a cosy log burning stove (in addition to full central heating), a raised sleeping area and WiFi. 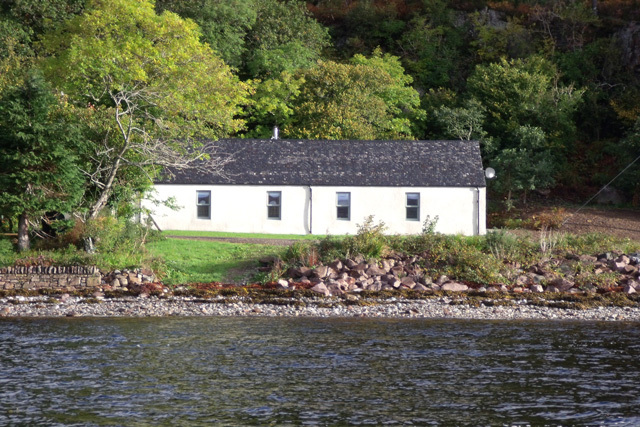 The location is idyllic, set on the banks of Loch Kishorn. Hillwalking, Climbing and Kayaking are all popular local activities. Access to Applecross, Skye and Torridon is easy by car, but there are many local walks you can take that are car free – and you can kayak from just outside the property if you wish (bring your own kayak!). Whether you are looking for an active holiday or a romantic break, the Old Meeting House is well worth considering. This entry was posted on Tuesday, January 15th, 2019 at 11:15 am and is filed under New Properties, News .